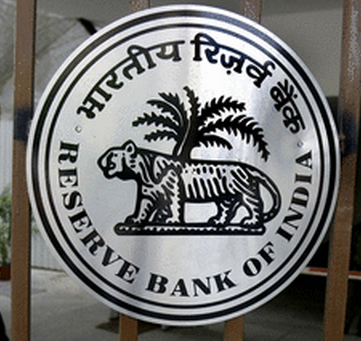 The Reserve Bank of India (RBI) decided to keep the policy repo rate under the liquidity adjustment facility (LAF) unchanged at 7.5 per cent. Output growth for 2015-16 is projected at 7.8 per cent, higher by 30 bps from 7.5 per cent in 2014-15, but with a downward bias to reflect the still subdued indicators of economic activity The Reserve Bank of India(RBI) on Tuesday decided to keep the policy repo rate under the liquidity adjustment facility (LAF) unchanged at 7.5 per cent. RBI said it will stay focussed on ensuring that the economy disinflates gradually and durably, with CPI inflation targeted at 6 per cent by January 2016 and at 4 per cent by the end of 2017-18. The apex bank said the Monetary Policy Framework Agreement signed by the Government of India and the Reserve Bank in February 2015 will shape the stance of monetary policy in 2015-16 and succeeding years. Assuming a normal monsoon, continuation of the cyclical upturn in a supportive policy environment, and no major structural change or supply shocks, output growth for 2015-16 is projected at 7.8 per cent, higher by 30 bps from 7.5 per cent in 2014-15, but with a downward bias to reflect the still subdued indicators of economic activity, RBI said. RBI has also decided to: 1. keep the cash reserve ratio (CRR) of scheduled banks unchanged at 4.0 per cent of net demand and time liability (NDTL); 2. continue to provide liquidity under overnight repos at 0.25 per cent of bank-wise NDTL at the LAF repo rate and liquidity under 7-day and 14-day term repos of up to 0.75 per cent of NDTL of the banking system through auctions; and 3. continue with daily variable rate repos and reverse repos to smooth liquidity. 4. Consequently, the reverse repo rate under the LAF will remain unchanged at 6.5 per cent, and the marginal standing facility (MSF) rate and the Bank Rate at 8.5 per cent.